People who have been injured by the carelessness of others are often afraid and overwhelmed. With all of the pain, confusion, and medical treatments associated with a personal injury accident, it can be frightening and frustrating as you try to recover. Ryan Hilts, personal injury lawyer in Portland metro area, has successfully handled hundreds of cases in his legal career and can help you with all of the legal and medical demands related to your personal injury case so that you can focus on getting better. When we take your case you will no longer have to talk to insurance adjusters, and we will help you obtain the wage loss benefits that you’re entitled to while you recover from your injuries. Insurance companies want to settle your claim as quickly and as cheaply as possible. They know that in the aftermath of an accident you are not in a solid position to think clearly about your future. We believe that those who have suffered an injury should be entitled to have someone on their side to stand up to insurance companies. We use our knowledge and skill to obtain the best possible result for you. We offer a free initial consultation. If we agree to take your case we will work on a contingency basis. This means that we are only paid out of the monetary recovery we obtain for you, not on an hourly basis. Typically the charge is 33% of the amount we obtain, plus any related expenses that we have paid on your behalf. If we are unable to recover any money for you, your cost is nothing. 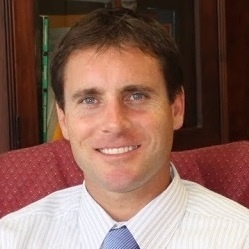 Ryan Hilts is a top personal injury lawyer in Portland Oregon. Contact Ryan today. Ryan is a member of the Oregon State Bar, the Washington State Bar, and the Oregon Trial Lawyers Association. Ryan was named a “Rising Star” by Super Lawyers Magazine for six years in a row, a selection for the top attorneys under 40 years old. During those years, he was also listed as one of Oregon's Outstanding Young Lawyers by Portland Monthly Magazine and the American Registry. We take the stress out of personal injury cases so you can focus on getting better. Call today for a free consultation. We specialize in auto accident cases. 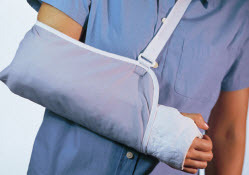 We are skilled at negotiating with insurance companies to get you the compensation you deserve. If you were injured as a result of a careless driver while you were a pedestrian, you may have a claim against the driver. Read more about our practice areas. My name is Linda and my son in law recommended Ryan Hilts. I did not think I needed a lawyer. My son in law said "If you don't win you don't pay". That made a lot of sense to me. After calling Ryan I realized how comforting it is to have a lawyer. I was in a car accident. The driver was drunk and hit me and took off. A hit and run accident. Ryan told me by Oregon Law I was able to go to the doctors. I was able to get the much needed help. My Chiropractor was amazing. It took time to heal. Ryan was always available and always called me back, when I had any questions. He is a wonderful family man. A man of integrity. He also sent emails and texts to wish our family well on all the Holidays. He went above and beyond what was expected. My case was won without a doubt. I would definitely go back to Ryan for any lawyer needs. He is a good man and you can trust him. Thank you Ryan for everything, words are not enough to express all you did for us. I was recommended to Mr. Hilts by a friend when I had my car accident. I was very impressed with his knowledge and the way he guided me through the process. I appreciated that he always returned my calls and kept me informed about the progress of my case. I could never say enough good things about Ryan. He was always there to take my calls and answer all of my questions. I really felt like he was working for me; like I was his top priority. Ryan is a terrific lawyer and a better person. He went above and beyond to reach a settlement in my case and believed in it when no one else did. He’s very intelligent and caring and is always putting the best interests of his clients before his own. Ryan knew more about my case than I even did. He is truly dedicated to his clients, and I can not explain how much I honestly appreciated that. I recommend that you give him a shot if you need to hire an attorney. He won’t let you down. It was our good fortune to have Ryan Hilts as our attorney. Ryan helped our children avoid a lawsuit and get a successful settlement. He taught us so much. He represented our family with integrity.